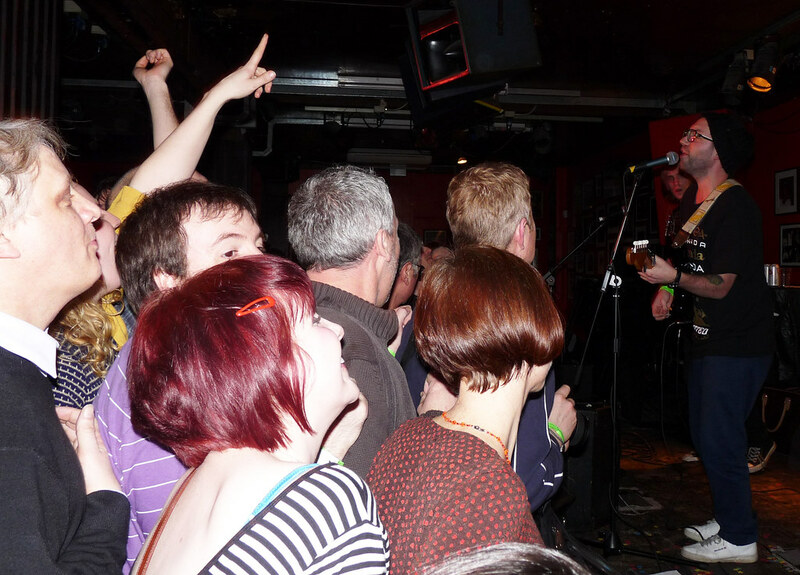 Indietracks - an indiepop festival: Popfests in 2011! Hello, it’s been a while! As we at Indietracks HQ sift through the hundreds of band applications that have already flooded in for the 2011 festival, we find ourselves getting a bit impatient for some pop action and a chance to get together with our friends from all over the world. But we can’t wait until July – it’s aaages away! Bands confirmed so far are Tender Trap, Cola Jet Set, The Blanche Hudson Weekend, Papa Topo, Aias, Zipper, and Horowitz. Rome Popfest is usually in March, but no details have been released for this year’s event as yet. You can visit the website for updates! Last April’s Copenhagen Popfest was somewhat hampered by pesky volcano action, but people were so determined to get there that they travelled for days on whichever mode of transport they could find still operating! Sadly we were among those stranded due to cancelled flights (we ate a lot of cake that weekend to console ourselves), but received glowing reports from those who had made it. Let’s hope they announce a 2011 version soon – keep up to date here. Next up is New York Popfest, which is taking place in May. We’ve been hearing the first whispers about this in the last couple of days, and although the website isn’t operating at the mo there is a Facebook group which you can follow. We’ll be there, so come and say hello! Also in May, the San Francisco Popfest have not yet released details of this year’s event, but having visited ourselves in 2009 we can guarantee it’s worth going! Visit their website to get the news as it happens. If you still haven't had enough pop after Indietracks in July, then head to Athens (US) Popfest which takes place in August! Visit their website to read about last year's event, download the excellent free compilation of bands who played, and get the 2011 details as they're announced! Finally, New England Popfest takes place in November. It’s a bit early for details of the 2011 version just yet, but you can visit their website or join them on Facebook to get the first details. So there you go – the pop never stops!